There’s a reason this area is home to some of the most exclusive and expensive residences in London. 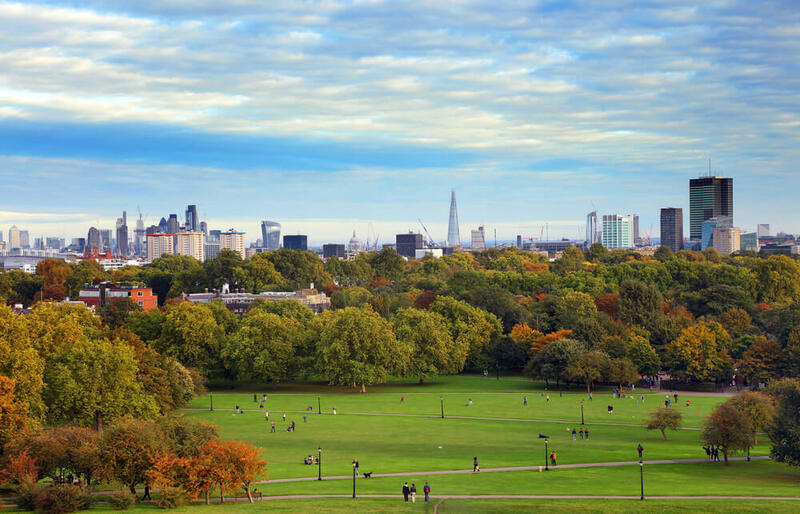 From the top of Primrose Hill, you can see all of central London splayed at your feet. The sunset itself is best seen with loved ones, as this is an experience you’ll want to share. As the shimmering greens of the Northern Lights drape across a Nordic night, so does the London sunset – usually a riot of dusky red near the horizon, with fingers of pink and orange reaching up to embrace a lavender sky – draped across the rolling fields of Primrose Hill. 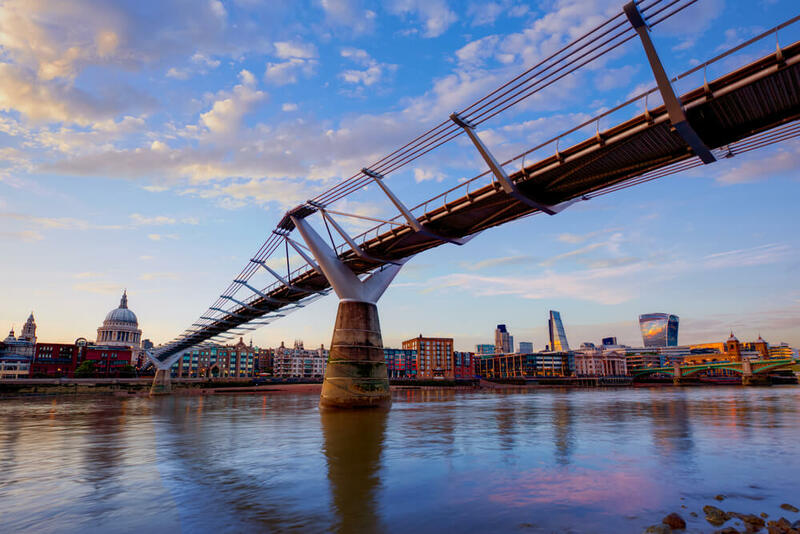 One of the few exclusively pedestrian bridges in London, the Millennium Bridge opened in June of 2000. It was shortly nicknamed the ‘Wobbly Bridge’ after people noticed a decidedly worrying swaying motion only two days after the bridge opened. The bridge was closed until 2002 to eliminate the wobble and is now the best way to get between the South Bank (at the Tate Modern) and St Paul’s Cathedral on the north side. 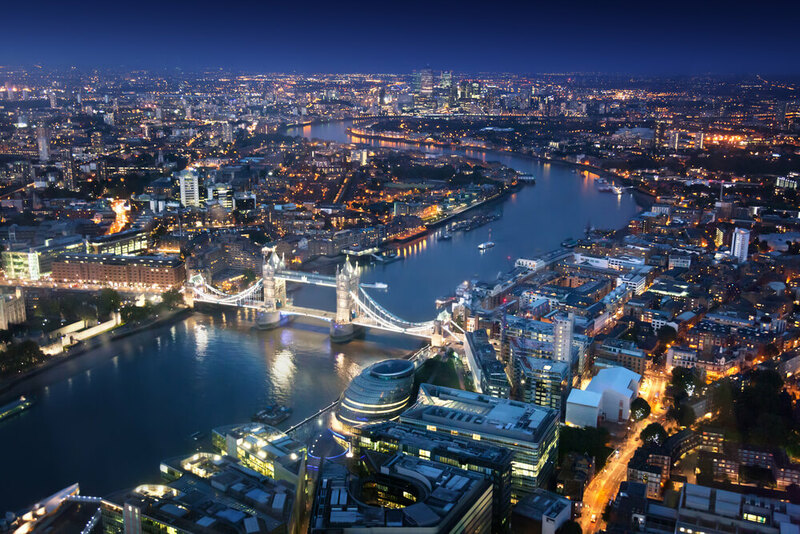 What it affords you is the chance to see the London sun sink over the River Thames as skyscraper lights slowly flicker into life around it. The bridge is also blessedly peaceful; far removed from the smell of rubber and car petrol, the only sounds are the sounds of the river. And a few commuters scurrying across the bridge on their way home, of course. 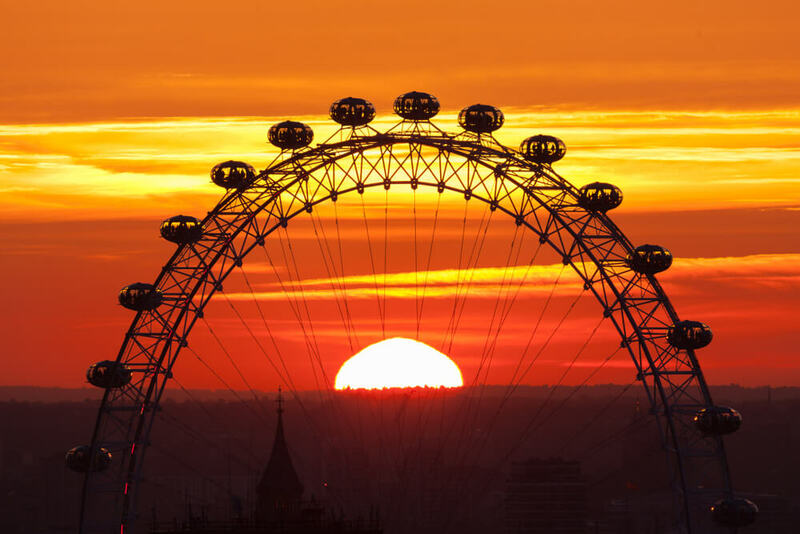 Europe’s tallest Ferris wheel, the London Eye’s the second-highest viewing point in London (Read a brief history and fun facts about London Eye). Standing at a lofty 135 meters tall, it’s the single most popular paid tourist attraction in the UK with over 3.5 million annual visitors (many of them enjoying the capital via a London West End stay package). Each capsule holds up to 25 people, who can walk around or sit as desired. The wheel rotates at about 10 inches per second, slow enough for passengers to walk on and off at ground level without the Eye ever stopping. And there’s nothing that beats the height and panoramic nature of seeing the sunset from one of these capsules; suspended in mid-air, you’re literally held in the middle of the sunset for the 30-minute duration of the ride. 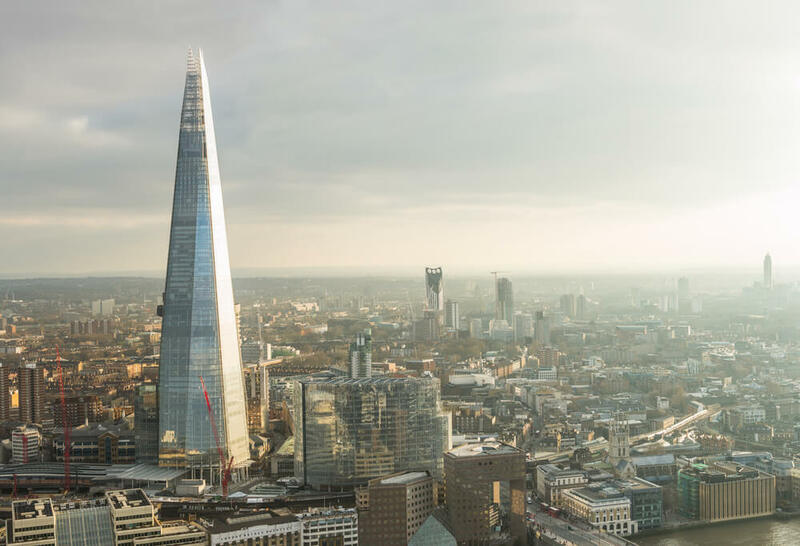 At 306 meters tall, the Shard is the tallest building in Europe, and the tallest point from which to watch a London sunset. Construction finished in 2012, and its observation deck ‘The View from the Shard’ was opened to the public in February the following year. 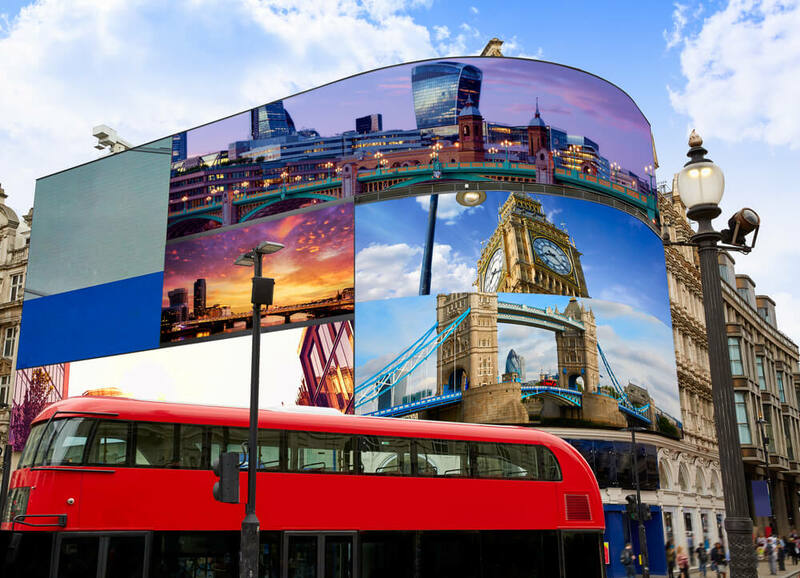 It was envisioned as the premier landmark of London, something that would be instantly recognizable in the skyline. Seeing the London sunset from its tallest point is nothing to sniff at. The panorama alone’s worth the lift ride up there, let alone the chance to see London bathed in the warm orange of the sunset. It’s also a great place to see the stars that peek out afterwards, and sometimes the moon looks like it’s close enough to touch. Marvellous.